The company becomes shareholder of Tianjin Sanhuan Aona Technologies Co.,Ltd.. The company wins the second class prize of National Science and Technology Progress Award. The company and Hitachi Metals sing Patent License Agreement. The company's high performance rare earth permanent magnets is identified as the first batch of National Innovation Products. The company becomes a shareholder of Kolektor Magnet Technology Company. The company's sintered Nd-Fe-B magnets are identified as the first batch of Beijing Innovation Products. The company is identifed as the State Certified Enterprise Technology Center. The company establishes SANVAC (Beijing) Magnetics Co., Ltd by cooperating with VAC. The company becomes controlling shareholder of Nanjing Daluge High-Tech Co., Ltd. The company becomes controlling shareholder of Shanghai Epson Magnetics Co., Ltd.
State Key Laboratory on Magnetism passes the examination. The company's sintered Nd-Fe-B magnets enters into application of VCM in hard disk drive,representing Chinese rare earth permanent magnets reaching high-end application requirement. The company becomes shareholder of Nanjing Tian Di San Huan Hi-Tech Co., Ltd. The company becomes shareholder of Shanghai Epson Magnetics Co., Ltd by cooperating with Seiko Epson Company. The company established Zhong Ke San Huan Yu Xian Jingxiu Magnetic Material Inc.
Guangdong Zhaoqing jingyue Magnetic Factory changed name into Zhaoqing Sanhuan Jingyue Magnetic Products Limited-Liability Company. The company established Beijing San Huan Ju Ci Hi-Tech Company. The company established San Huan Techno Co., Ltd. The company becomes shareholder of Ganzhou Rare Earth Metals Co., Ltd. The company established Najing Jinning San Huan Hi-Tech Company. Beijing Zhong Ke San Huan Hi-Tech Co., Ltd become listed at Shenzhen Stock Exchange. The company established Beijing Huan Ci New Technology Co., Ltd..
Beijing Zhong Ke San Huan Hi-Tech Co., Ltd is established. San Huan signs contract to build State Key Laboratory on Magnetism. 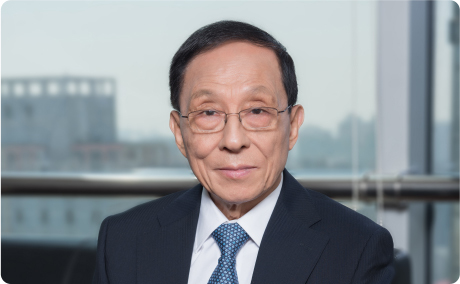 San Huan became shareholder of MQI. Beijing San Huan International Trading Company is established. San Huan signed Patent Agreement on Nd-Fe-B with Sumitomo Corporation. San Huan signed Patent Agreement on Nd-Fe-B with General Motors. Tianjin Sanhuan Lucky New Materials Inc.
San Huan Ningbo Magnetics Factory of CAS is renamed as Ningbo Konit Industrial Inc. Ltd.
Guangdong Zhaoqing Jingyue Magnetics Factory is established. Beijing Xin Huan Technology Development Company is established. San Huan is awarded the first class prize of National Science and Technology Progress Award. San Huan Ningbo Magnetics Factory of CAS is established. San Huan New Material Research and Development Company of CAS is established. Institute of Physics and Institute of Electronics of CAS successfuly develops the Nd-Fe-B rare earth permanent magnets through cooperation. Institute of Physics of Chinese Academy of Sciences begins the research of rare earth magnetic materials.